Well, this might be the longest I’ve gone yet without an update. I’ve been thinking about it for a while, though! In late June, we flew to California for Susan’s wedding. She is my best friend from college, so even though I was a little worried about the trip, I really wanted to go. It went a lot better than I expected, and I was so happy to be a part of her wedding. Jin wasn’t pleased with the lack of air-conditioning, though! Having Jenni travel with us was a huge help since I travel with so much and can’t carry anything, but we decided not to torture Luke with a weekend trip. Abbie took him to visit her family in Florida instead. He had a blast riding in a boat for the first time and was fearless on the intertube! Luke started school in August and loved it from the very beginning. It probably helped that our friend Angie is one of his teachers; Luke has always liked her. On his first day, he rushed into the classroom without even a wave! Luke is only going two days a week from 9 until 1. Next year, though, he’ll go four days to get him ready for kindergarten. Where does the time go? He has become such a little man and his comments are so grown up! I’m amazed with how he reasons and justifies. He’s a little too clever for his own good. In late January, Andy coordinated the second Doughnuts 4 Dough. It was cold enough that I had some trouble driving my chair and loading in the van. It’s tricky when shivers keep jerking the chair left. Thankfully, Scott was generous enough to allow us to invade his restaurant, Sushi Nami, for the event, so we didn’t have to suffer the cold. I actually had a really good time even though it was packed. Socializing in a group is usually frustrating and very tiring. Communication is complicated with more than one person since I really can’t contribute before the topic has been changed. So for the most part I just sit, listen, and feel superfluous. This morning, though, I actually felt like I was contributing to conversations, which was a nice change. I’m not really sure what was different, but it went well. Maybe I should just park next to a chair and let people come to me more often. Luke wasn’t very sociable, but I think he just gets tired of having people he barely knows handle him. It’s hard to blame him. Mom, Dad, and Jenni seemed to be entertained though. The event raised an amazing $22,469.00! Thanks so much to everyone who contributed! The money will be a huge help with buying new equipment that becomes necessary as I get weaker. One piece of equipment I’m not sure I want is a trache. The Emory doctors have mentioned I’m getting close to needing one, since my respiratory function is hovering around 30%, but I think I’d be absolutely miserable. I’ve been reading up on them quite a bit, and some accounts are fairly positive so maybe it wouldn’t be as horrible as I imagine, but the feeding tube gave me an intense dislike for cutting permanent holes in my body. One major change I have made is to my wheelchair. Since my arm and shoulder are pretty useless now, it’s been modified to respond to a head array rather than a joystick. I’m still adjusting after about two months, but I haven’t torn up the house too badly. My main difficulty is that it’s hard to turn and move forward at the same time. I rest my head against the back cushion to move forward and touch the right and left pads with my temples to turn, but it’s hard to keep contact with both at once. We tried moving the side pads closer, but then I kept turning unintentionally, which was even worse. As a result, it’s hard to make minute adjustments and I sometimes can’t follow a straight path easily. So I let Jin or Abbie load me in and out of the van to avoid driving off the edge. There is now a joystick for them to use behind my seat, which allows them to drive. The chair is also definitely harder to drive with a head array on concrete. Every dip seems to throw me right or left and, since making small adjustments is difficult, it is pretty frustrating. If I get aggravated, I let someone else drive. As for my progression, I’m considerably worse. I can still take some steps to transfer, but it’s more difficult and both ankles now collapse when I walk which puts strain on my knees. Since my legs are weaker overall, I’m not able to help as much when I am situated in my chair or bed, and I worry Jin or Abbie will hurt their backs moving me. We don’t need any more complications! More neck muscles have also begun to fail, which means I can’t hold my head up for long and have trouble lifting my head from a resting position. Since I can’t take a good breath, it’s now hard to say even one word at a time. I rarely attempt to say anything to anyone besides Jin, Abbie, or Luke and even they can’t understand me most of the time. If I want to say something, I’ll usually request my computer. I’ve completely given up eating or drinking by mouth; it’s simply not worth the mess and choking spellsI It’s also hard for me to stay comfortable in my wheelchair for long; my neck, back, and knees all begin to ache after a few hours. I’ve been spending a lot more time in bed lately since I’m most comfortable there, and over the last few months, Luke has taken to playing Lego star wars next to me after his nap. He’ll push the blanket and sheet down to the footboard to clear a space then place all his Lego bins and vehicles on the bed. The piled up blanket becomes a castle and most battles are fought on my tray table. It’s really sweet how he’ll include me in the play. Luke will pick out a character for me then ask questions as the battle unfolds: Are you Boba Fett? Did you just shoot me? Are you about to fall? I’ll answer yes or no and he’ll play my character for me. We’ll also watch Lego stop-motion movies on You Tube while he plays, but half the time it’s just background noise. Either way, I’m happy Luke has found a way to play with me! We all went to Disney in mid May and had a great time the first three days. A huge thanks to Susan and her friends at Pixar for the free park tickets! That was a huge cost savings. Since Michele and Ryan live closer to Orlando, they arrived first and were able to check in and coordinate the delivery of my hospital bed and tray table for my computer. They also found that Cinamin had upgraded our group to an amazing three bedroom suite with an incredible view of the animals. We saw giraffes, zebras, and water buffalo wandering right off our porch. Very cool. The suite also had a table full of crazy nice gifts. We all got personalized Mickey caps, there was an Animal Kingdom throw, a Mickey blanket, Mickey gloves, a Mickey plush doll, animal toys, star wars potato heads, stickers, a coloring book, picture frames, and so many other little fun gifts for Luke. It was overwhelming. We spent the majority of our time in the Magic Kingdom and Hollywood Studios, since that park had Star Wars. The guest assistance pass let us skip all the lines, which was especially helpful with an almost four year old. When he complained about short delays, Michele threatened to take him through the standard line. My spoiled little boy had no idea how good he had it. I decided not to even attempt navigating my chair on my own through the parks. Uneven streets, tight turns, and oblivious crowds made it virtually impossible. I was actually able to go on the majority of the rides, though. Some would accommodate my power chair but there were others that required me to move to a manual chair. Since Disney’s chairs were made of worn out canvas with no head support, we decided to bring both wheelchairs after the first day so I could transfer into my own manual chair when needed. That worked so much better! Plus, Luke could ride along in the extra chair when he got tired. He looked like a miniature ruler on his throne. There were also a few rides I wanted to go on where Jin had to actually transfer me. We had a few dicey moments and Jin’s back probably suffered, but we made it on without ever falling. Luke had a great time on most rides and loved the parade, fireworks, and shows, but I think his favorite was brunch at Café Mickey. He was so excited that he couldn’t stay still; he was clapping his hands, shimmying his shoulders, and bouncing in his seat. It was really adorable! Luke also kept looking around in anticipation waiting for the Disney characters to come by. He met Goofy, Mickey, Donald, Pluto, then Minnie and got their autographs. He was thrilled to meet them and posed so cute smiling on cue; we didn’t have to coerce him at all. In between character visits, Luke ate his weight in food. I haven’t seen him eat with that much enthusiasm for a while. Luke’s only compliant was that Mickey didn’t eat with us. From what we told him, he assumed Mickey would actually join us at our table. Unfortunately, the last half of the week was spent in and out of urgent care centers. Luke had a super high temperature, complained of hurting all over, and couldn’t keep anything down. We managed some fun things for distraction like a trip to the Lego store when he seemed to feel a little better, but for the most part, he was miserable. Since the doctors around Disney had no clue what was wrong with him, we went straight to Children’s when we got back to Atlanta. By this time, Luke had a strong dislike of hospitals and needles and wasn’t afraid to let everyone know it. Luke was admitted, countless tests were run, and they finally determined he had Kawasaki’s disease. This disease can have serious consequences for the heart, but since it was found and treated quickly, Luke shouldn’t have any complications. Unfortunately, he was in the hospital for a total of five days to receive the treatment and Luke pleaded to go home for the majority of his stay when he wasn’t begging the nurses not to hurt him. Jin was pretty worn out from trying to comfort Luke. Thanks to everyone who came by with distractions! Luke is almost 100% now. More recently, we went to Shepherd’s for an evaluation with their assistive devices group, which was facilitated by Dr. Lin who Jin met during a closing. After talking with us a while, they showed us three things that will be a big help. The first should solve our most immediate need, which is for some kind of alarm I can trigger when I need help. The X10 Palm Pad Remote is a device that they’ve modified to accept a switch and will set off remote alarms when pressed. This same device can be programmed to give me some control over my environment by allowing me to turn things on and off: the TV, the lights, the fan, etc. Very neat. The second is an impulse switch that can replace the switch I currently use to do a left mouse click when working on the computer. I press the current switch with my toe and it can be uncomfortable to stay in the same position for an extended amount of time. The muscle is also fatiguing more quickly. The impulse switch can be placed anywhere and takes a lot less effort to engage. The third device they showed us will be great for communication and will replace my current computer when I can’t use SmartNav anymore. The Tobii is an eye-controlled device that is integrated with a fully functional computer. Calibration was incredibly easy and I had no trouble using it to make selections. Once I learn where all the options are, I think it will be super fast. It’s crazy expensive, though, so hopefully insurance will cover some of the cost. 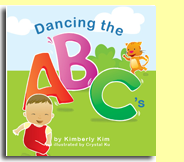 For those who are curious, my ABCs children book is finished, but we’re having trouble with production quality. Brian has made heroic efforts to resolve the issues, so we’ll see what happens! As for everything else, I found a description of living with ALS that so very nearly mirrors what we’re going through that I might have written it if the more specific details were swapped out. If you’re interested, you can read The Attic. I guess a year’s worth of details can add up. I really did try to condense! Thanks to all our friends and family who do so much. I don’t know what we’d do without you!